A national landscape design competition is set to launch in mid-September in Omaha, Nebraska. The goal is to turn a 70 foot x 100 foot portion of the urban core into a model green space. The winning team will earn $200,000 to fully implement their vision. The competition, Green in the City, “is an opportunity to develop and implement a creative design for open space in Omaha that can inspire other urban communities to follow suit,” said Connie Spellman, director of Omaha by Design, the competition organizers. 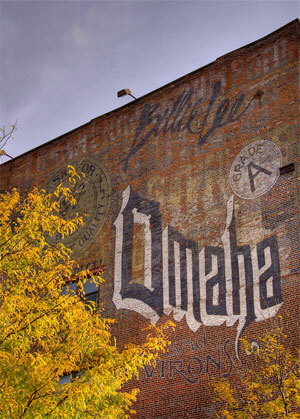 Omaha by Design is an urban design and environmental non-profit that focuses on “improving Omaha’s look, feel, and function.” The urban design and environmental components of the Omaha’s master plan serve as a starting point for Omaha by Design’s projects, which include green street visioning and planning and other sustainable initiatives. This project will connect with the future BLUEBARN Theatre, scheduled to break ground in early 2014. After the design has been implemented, ownership of the open space and maintenance responsibilities will be turned over to the theatre. A request for qualifications (RFQ) will be available in mid-September. Multi-disciplinary design teams from across the country are encouraged to submit. Learn more. Hopefully more details will be coming over the following weeks. This is great idea in a city. can we work together?